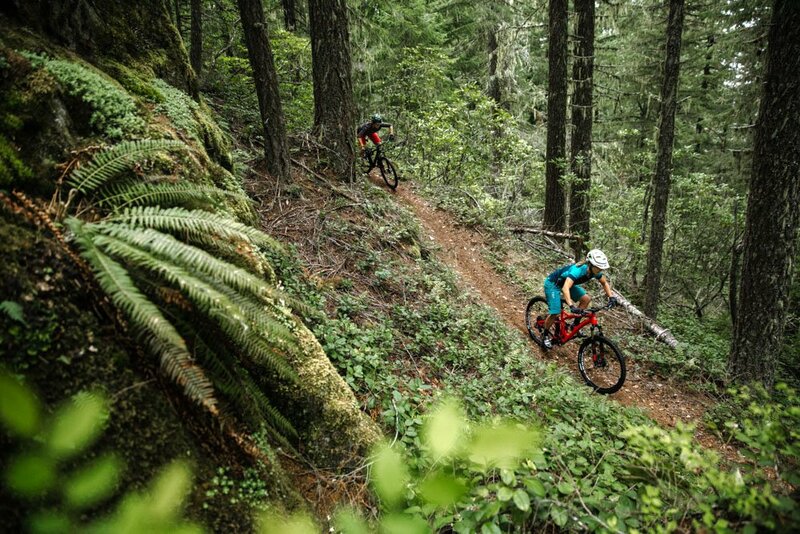 Sitting 15 miles north of the California border, the small city of Ashland has some of the best mountain biking in Oregon. 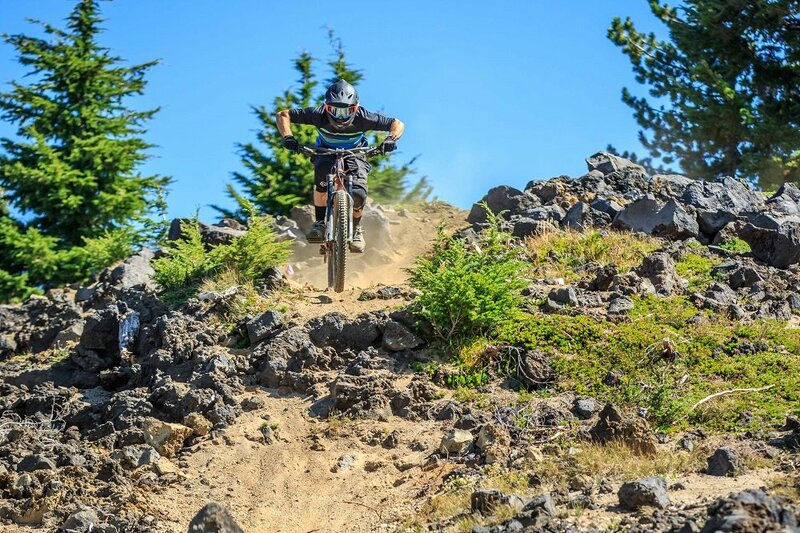 With weather more akin to northern California than the wet and lush Cascade Mountains, and mile after mile of trails, Ashland is an awesome mountain bike destination. 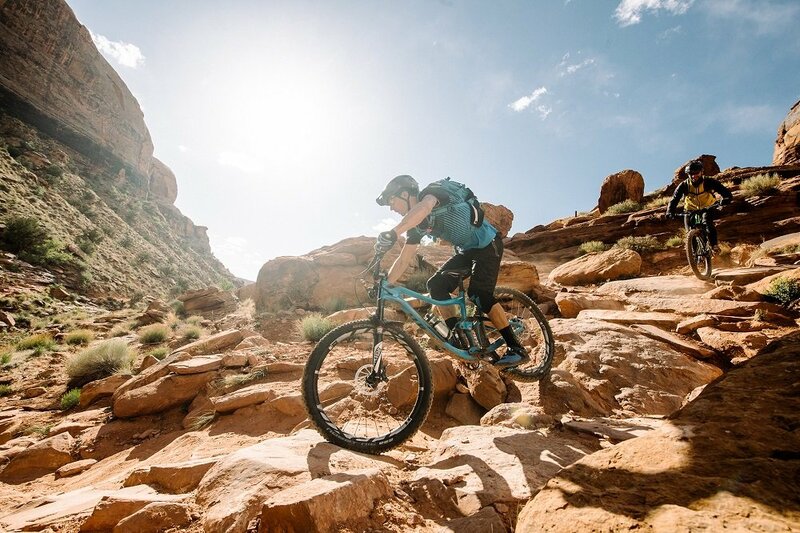 The trails here serve up a great combination of shuttle accessed riding and cross country or all-mountain loops. Many of these great trails drop down from Mt. Ashland and run all the way back into town. These trails can be accessed by climbing on forest roads, or shuttling. 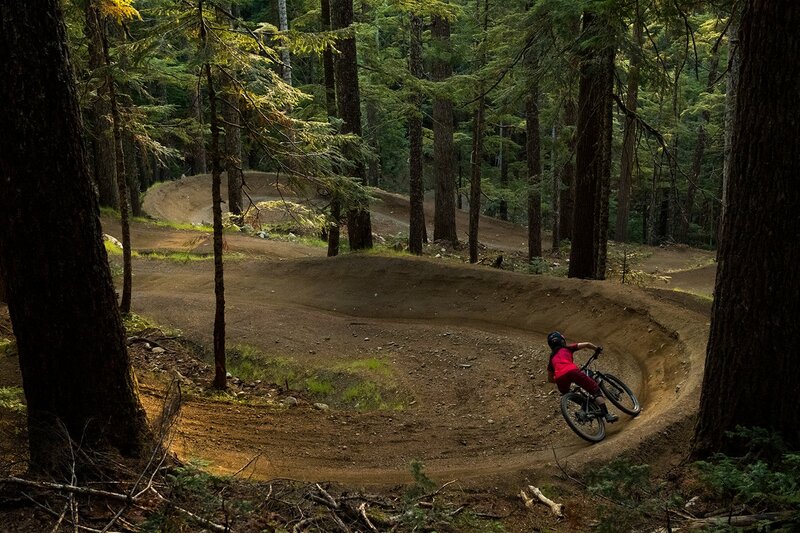 The sheer abundance and vertical drop of the mountain bike trails in Ashland give areas like Downieville and Oakridge a serious run for their money. Ashland has a more laid back vibe, too. 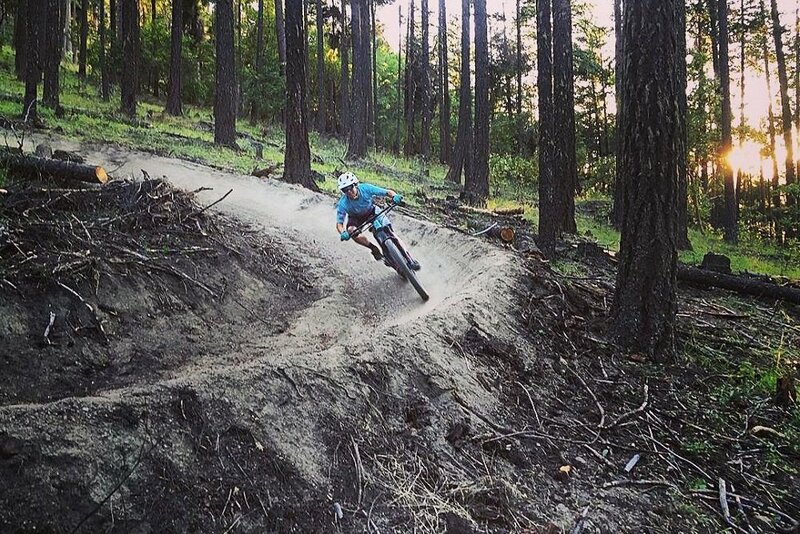 Great singletrack descents, with insanely good flow make Ashland a certain must-ride Oregon mountain biking area. For riders looking for a break from the grinding climbs and high speed descents, the mountain bike trails near Applegate Lake offer fun cross country riding with great views. Check out the Payette and Da-Ku-Be-Te-De trails that loop around the lake. The Hitt Road, Mystical, and No Candies are all a little bit less downhill oriented that the often shuttled trails descending from Mount Ashland. Time Warp is one of the most fun descending mountain bike trails in the Ashland area, with its high speed singletrack and fun techy features. 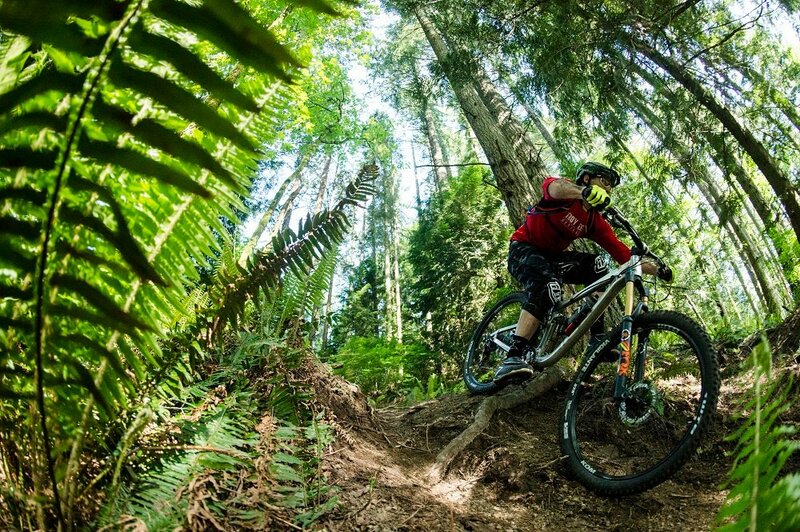 Once the trail dips into the forest, it speeds up with some great natural singletrack flow. There aren’t any huge mandatory drops or jumps, most features can be aired by faster riders, and rolled by slower riders. While it’s a downhill only trail, Time Warp does have some pedalling sections, so a trail or all mountain bike is recommended. Time Warp starts at Mount Ashland. Dropping from Mt. Ashland, Bull Gap has an awesome 5 miles of swooping turns, flow, and occasional techy or rocky sections. The upper section of the trail runs fast down forest road double track, while the lower drops into more flowy singletrack. Lower Bull Gap has more fun berms, rollers, and features as it works its way down to the 4 corners parking lot. Some maps and websites show Bull Gap continuing all the way to the Catwalk trail, while others have the lower section named the Lynx trail. The Lynx trail, or lower Bull Gap, is a ripping fun flowy section of singletrack and is one of the most fun mountain bike trails in Ashland. Catwalk is steep, fast, and filled with awesome jumps. While a lot of Ashland’s mountain bike trails may be more natural singletrack, Catwalk brings a bit more of a bikepark feel with it’s plentiful airtime. Riders who are shy to airtime are able to roll, or bypass the jumps, too. The flow on trails like catwalk is what makes the downhill mountain biking in Ashland so awesome. This trail is flat out fun. Catwalk hits the Toothpick trail about halfway through. Caterpillar is a pretty easy trail to describe, it’s buff, flowy, and FILLED with berms. The rhythm through these big smooth weeping berms is way too fun. Caterpillar trail connects from Toothpick to several other trails including White Rabbit, Alice in Wonderland and Jabberwocky which return to the city of Ashland. Jabberwocky splits off of the Caterpillar trail and heads down toward the city of Ashland. 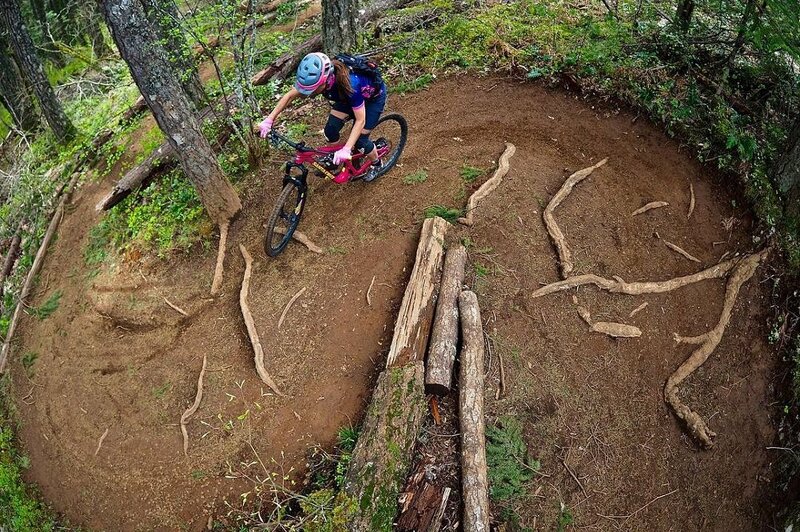 The trail has an awesome assortment of berms, rollers and jumps. It is a super active flow trail, meaning lots of whoops, off-camber turns, and features back to back. It’s definitely a full body workout, but oh so worth it. Flow Motion connects Follow to the Leader to lower Hide and Seek. 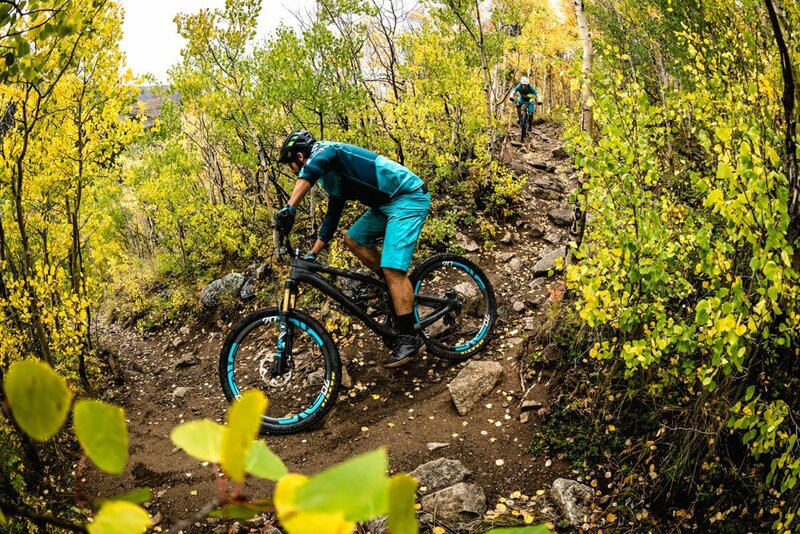 This trail is buff and fast, with big bermed turns and rollers that intermediate riders can ride over, and advanced riders can jump. Flow Motion may not be long, but it’s fast and fun. Ashland is located about 15 miles north of the Oregon-California border, off of I-5. Driving, Ashland is about 3 hours from Eugene, 5 from both Portland and Sacramento. 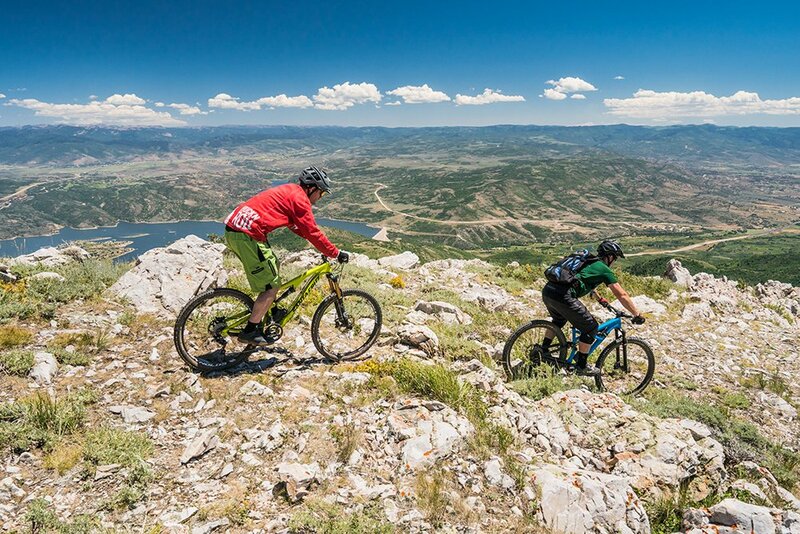 From town, most of the mountain bike trails in Ashland start at Mount Ashland ski area. These trails can be accessed by shuttling to the top, or climbing on the various forest roads. Ashland Mountain Adventures runs a paid shuttle service, which is great for visiting mountain bikers. Seeing that the mountain bike trails in Ashland start at a ski area, they definitely get snowed in during the winter months. Depending on winter snowfall, the trails usually melt out by late May. 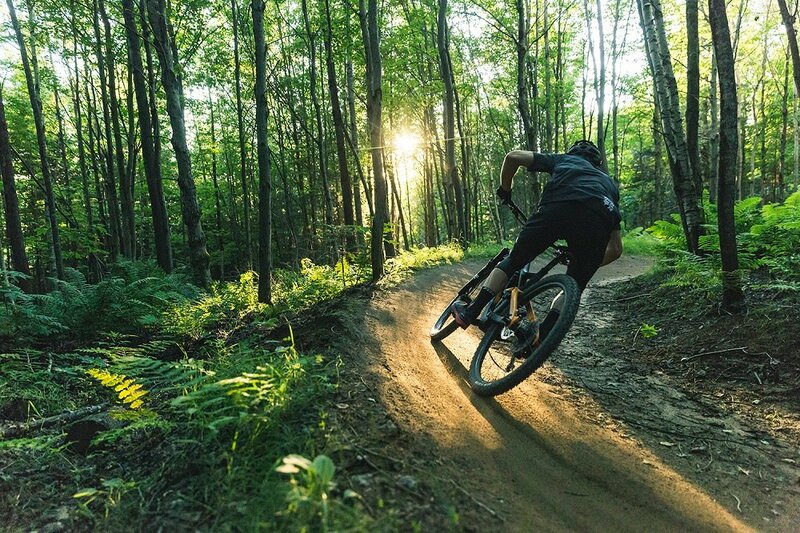 The best times to ride in Ashland are spring and fall, when the temperature is moderate and the dirt is in prime shape. The summer is not bad by any means, but the trails can get a bit beat up.